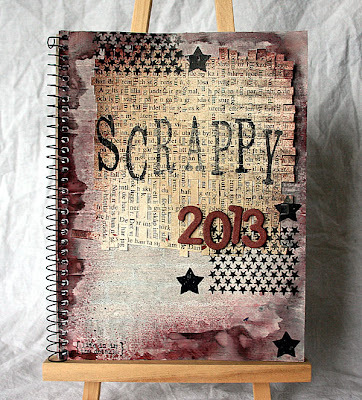 OMG, January just flew by, and I've been way too busy to update the blog for a couple of weeks! 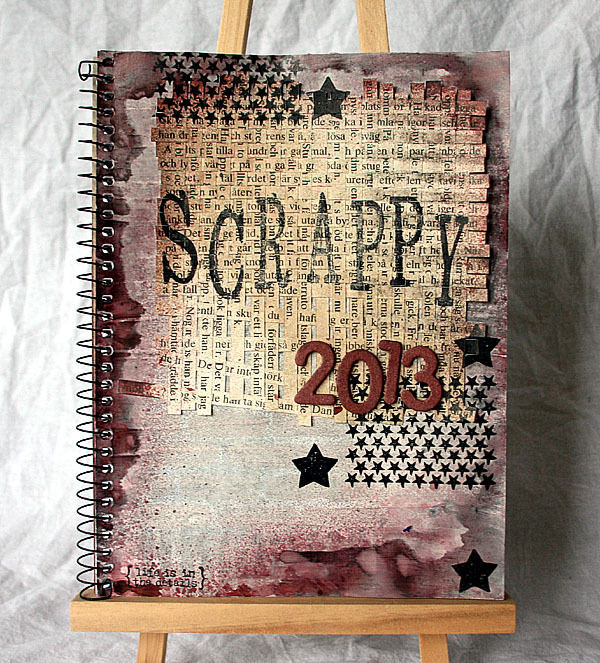 But tonight I just have to share a calendar I made for a challenge at Svensk Scrapbooking's New Years Crop. It's just an ordinary notebook that I've decorated a little bit to use for writing down calls, challenges and crops I'd like to take part in. I see them on the web, and I decide to participate and maybe I even scribble something down on a piece of paper, which sorta disappears in the mess in my studio. Most often I forget all about it, and when I finally remember, or find that note again, it's way past the deadline... Well, no more, because now I have this little book to help me remember!